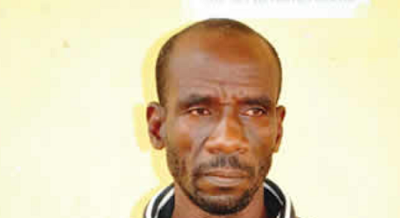 The Niger State Police Command said on Thursday that it had arrested a 49-year-old man, Garba Tukura, for allegedly murdering his neighbor, Musa Wassa. The suspect, who lives in Zazzaga Village in the Munya Local Government Area of Niger State, was said to have allegedly killed 65-year-old Wassa during a heated argument. According to the Public Relations Officer for the police command, Peter Sunday, Tukura, in the heat of an argument, flogged Wassa with an engine belt. Wassa, he said, slumped and was immediately rushed to a hospital, where he was discovered to be comatose and later died. The police spokesman said following a report of the incident, operatives attached to the Sarkin Pawa division of the command arrested Tukura. He said the suspect had confessed to the crime. Sunday told Northern City News that Tukura had been charged to court.